And, to tell you a truth this is the beauty of life. These precious days of their childhood are priceless. So, this quote is a reminder for myself. There presence here means a lot to me. So, I’m enjoying my time here. What about you? 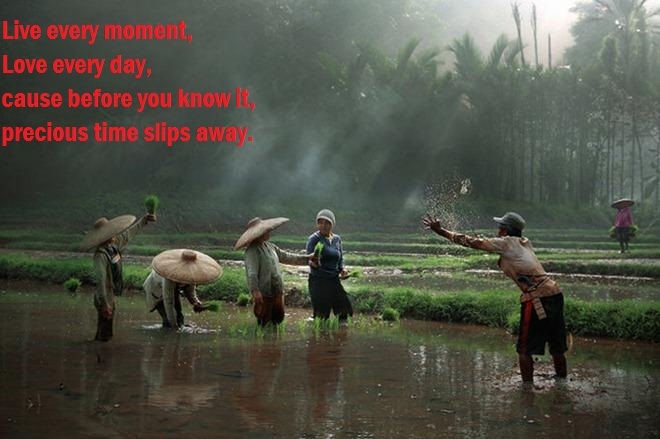 Are you ready to live in a moment? 1) Thanks the person who nominated you. Story: The bravery of my friend! Thank you and Ramadan kareem mubarik ameena! I love the pic n the quote! 😊 That pic such as in my village. Yes, the picture is beautiful and it is such an inspirational quote! This challenge is so Fun! I’m working on it, will post soon the 2nd day, insha’Allah! I have to say this one is too true and I have to remind myself of it often. Indeed, Donna it’s a great reminder!